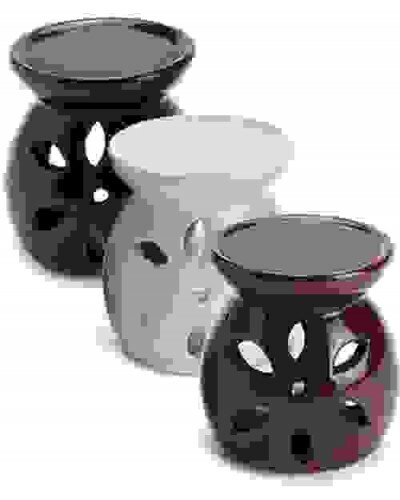 Choose black, white or caramel brown in this small aromalamp for oils or wax melts. These glazed aromalamps come in black, white, and caramel colors. 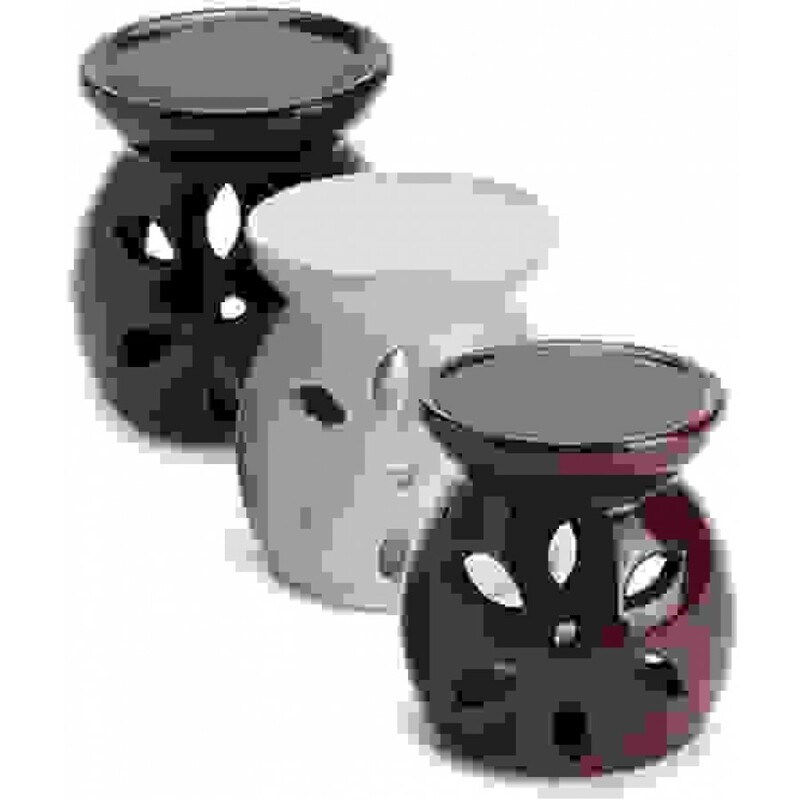 Pair one with a delicious scent to create an atmosphere that is appealing to your senses. Small ceramic pot is all one piece - bowl is attached. Add a few drops of your favorite oil to water in the bowl and light the candle beneath to gently disperse the scent thru your home. Includes a gift box and tea light candle. Item Number: SE-ARB | Approximate Size (Inches): 4.00 wide x 4.00 deep x 3.50 high | Approximate Shipping Weight: 1.00 lbs.